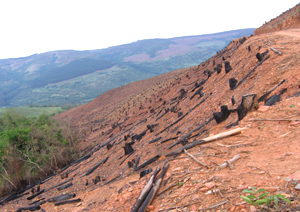 The Forest Stewardship Council (FSC) will be holding its general assembly on November 3-7 in Cape Town, South Africa. Given that the FSC is still providing its certification label to large-scale tree monocultures in spite of the abundant evidence proving their serious social and environmental impacts, a number of organizations are urging the FSC to stop certifying tree plantations. Here you will find an open letter addressed to FSC members –calling for a ban on certification of plantations- as well as a number of documents providing supporting evidence for that call.